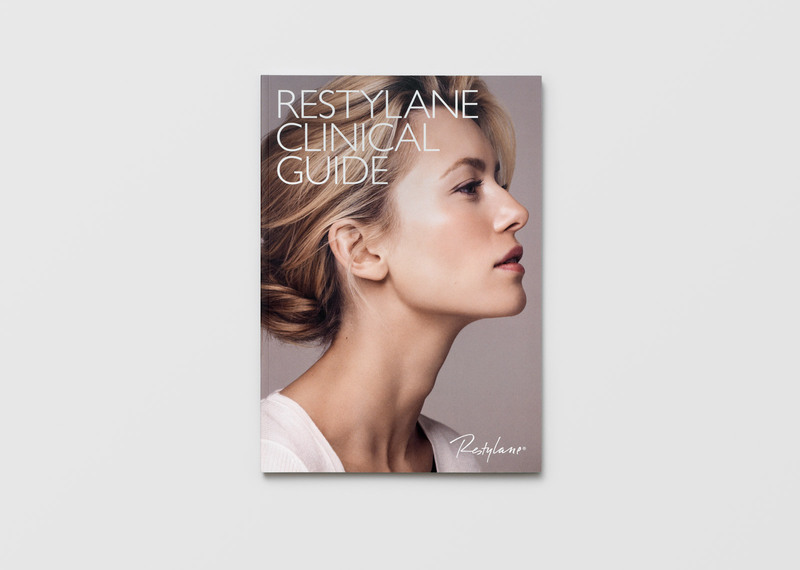 Restylane is a world leader in injectable aesthetic treatments. The Studio is a long-term strategic partner, having developed anything from graphic identity, packaging, websites and collateral material to books and trade fair booths. Strategic insights lead to a shift in marketing focus and the integration of a new communicative dimension: the end consumer. Building on the existing rational, clinical attributes, an emotional set of associations connected to the world of beauty was developed. Restylane is a pioneer in the field of injectable aesthetic treatments. The breakthrough discovery of Restylane in 1996 was to stabilize hyaluronic acid – a substance naturally found in our tissue – into a gel that does not dissipate from the body for six to nine months. 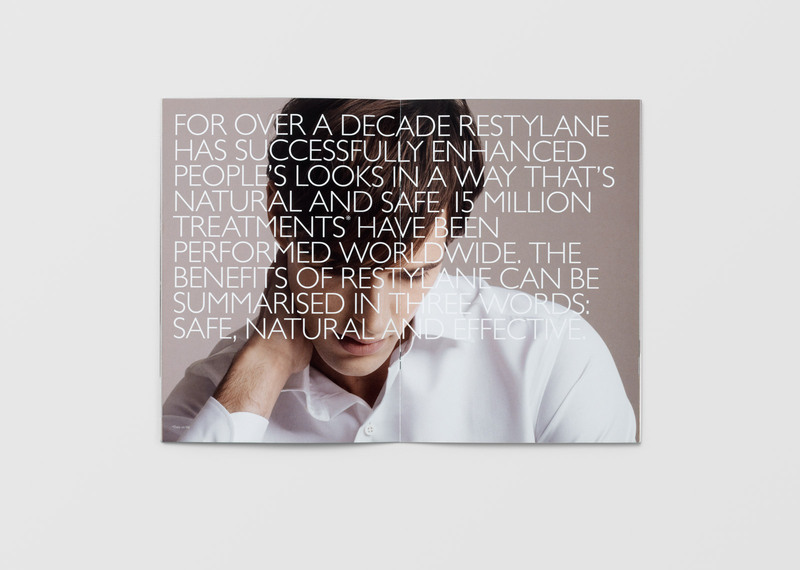 Today, Restylane treatments can be had in more than 60 countries worldwide, and the brand is a market leader in an industry that turns over several billion USD annually. 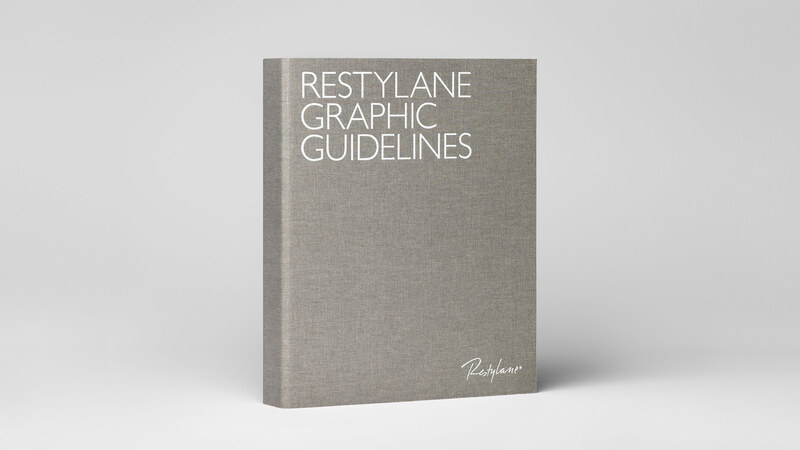 The Studio is a long-term strategic design partner for Restylane, having developed graphic guidelines, collateral material, imagery, numerous campaigns, websites, films and trade fair booths. The Studio has played a key strategic role in the co-development of two fundamental insights that have since become the natural foundation for all marketing communication for the brand: 1) demand must be created from the end user, the patients, not only the physicians and clinics, and 2) in order to combat both preconceived ideas of the industry and fierce competition, while at the same time justify the relatively high price, all marketing material, graphic design and imagery must communicate premium quality and exclusivity. One result of those two insights was to balance the rational attributes from the clinical world in the communication and develop an emotional set of associations connected to the world of beauty. This was reflected in a new photographic manner as well as in the graphic identity. 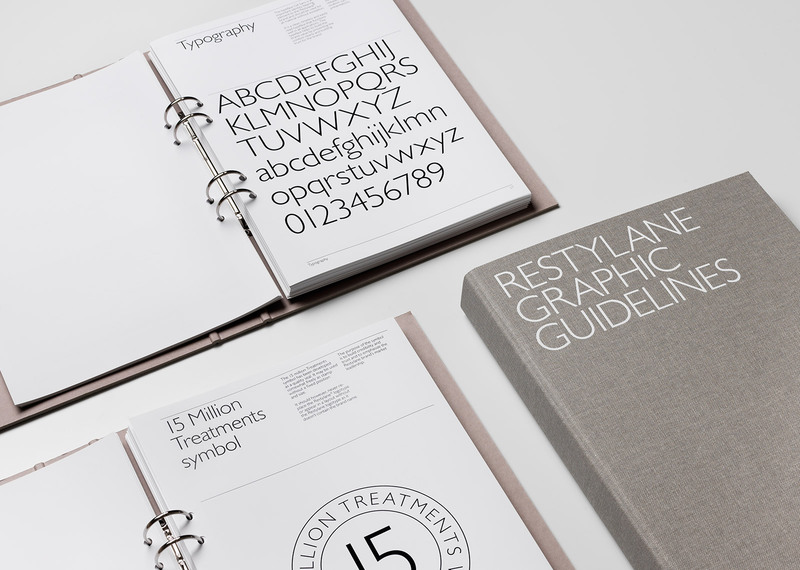 The Studio also developed and produced (as well as came up with the idea for) the so-called “Before and After” books for Restylane. The books have become the standard for how treatment results in the aesthetic industry can be displayed in an attractive, informative and appealing way. 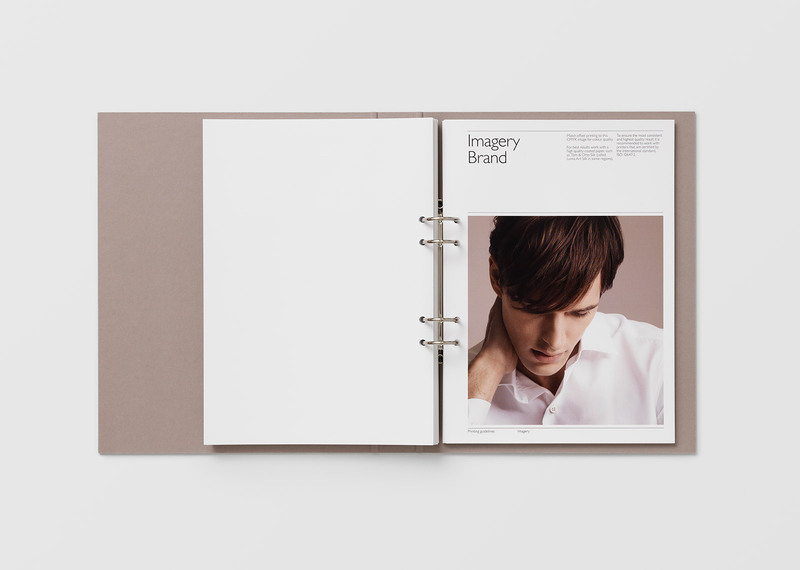 The Studio has produced a number of subsequent editions, along with supporting material such as filmed interviews with patients, reportage-style behind-the-scenes footage and campaign websites.